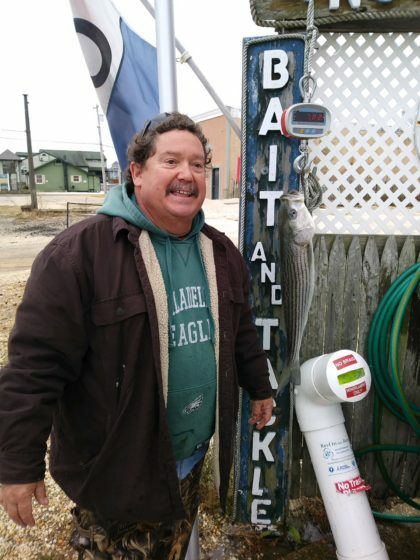 Pat Gallen caught this 7.82lb bass on bunker in Beach Haven and Mike Fahd caught his 9.78 lb bass in Love Ladies on Bunker. 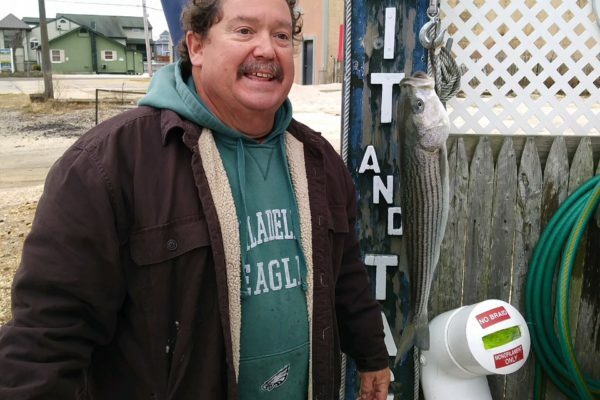 There are still a lot of short bass and dogfish in the surf but those keeper bass keep coming in a few a day. Off the boats anglers are doing pretty well by the 3-mile mark. Ava jigs with teasers, bunker spoons and Magictail mojos are the top lures I am hearing. That crazy rain and wind is behind us and its a mild morning (45 degrees) and the time to get out and fish before that wind picks up today. Water temp is in the low fifties. Call our store for more information.